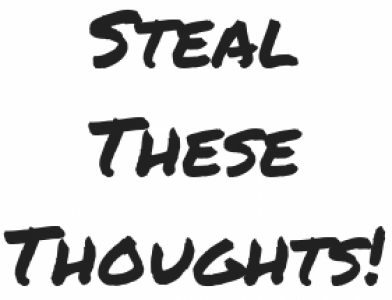 What I would tell my younger self on the truth of life – Steal These Thoughts! I’m currently in the midst of reading a variety of excellent insights from a network of mentors in Tim Ferriss book “Tribe of Mentors“. I’ve come across some fascinating pieces of wisdom so far, yet this extract on advice that was shared with a university student about to enter the real world from what I consider an unlikely source of a partner at a venture capitalist firm is so powerful. I feel it’s not only something that should be shared with those about to enter the world on their own for the first time, but also serve a a reminder to all of us who are already operating within it too. I believe I’ll be revisiting this passage many times. “Life will go faster than you know. It will be tempting to live a life that impresses others. But this is the wrong path. The right path is to know that life is short, every day is a gift and you have certain gifts. Happiness is about understanding that the gift of life should be honoured every day by offering your gifts to the world. Don’t let yourself define what matters by the dogma of other people’s thoughts. Even more important, don’t let the thoughts of self-doubt and chattering self-criticism in your own mind slow you down. You will likely be your own worst critic. These are the original words of Mike Maples Jr, partner at Floodgate, a venture capitalist firm.